Ladies who have lost a leg to disease or injury will still be able to enjoy their favorite heels. Students have developed a prosthetic foot for high heels. Five Johns Hopkins University students have created a new prosthetic foot called Prominence, FOX News reported. The foot features a flexible ankle joint which allows it to adapt to high heels up to 4 inches high. The device can adjust to multiple types of shoes and features a grippy surface so it won’t slip in the shoe. It can support a person weighing up to 250 pounds while the foot itself weighs less than 3 pounds. After trying multiple options, including a mousetrap spring and balloon, the team settled on a 28-layer carbon fiber footplate to form the base of the foot. It best gave the foot the spring it needed at the proper weight. The final device also uses a heel adjustment mechanism with two interlocking aluminum disks that opens and closes using an attached lever at the ankle. 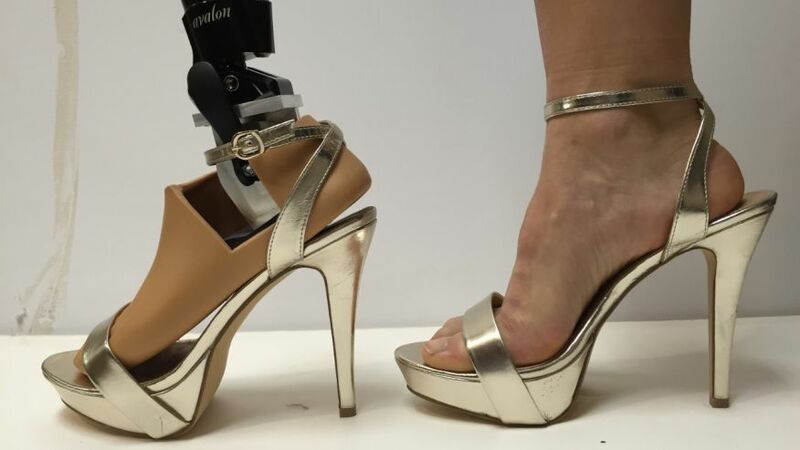 Alexandra Capellini, a Johns Hopkins University junior studying public health, lost her right leg to bone cancer and was one of seven participants for the prosthetic test, which involved four types of women’s shoes.